“Whether you have two or four legs, we all love sunshine! In 2017, Rescue Rebuild was able to positively transform many of the dogs’ lives at Maury County Animal Shelter. 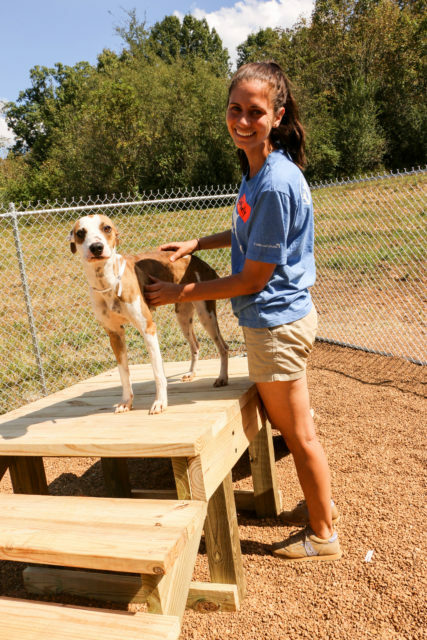 Placed in a rural area of Tennessee, this shelter has only a few staff members and volunteers, limiting the amount of extra time they have after daily tasks to focus on enrichment and exercise. This is where Rescue Rebuild stepped in! “It was a good thing that Tennessee is still warm in late September, as all of the team’s days were spent working outside. 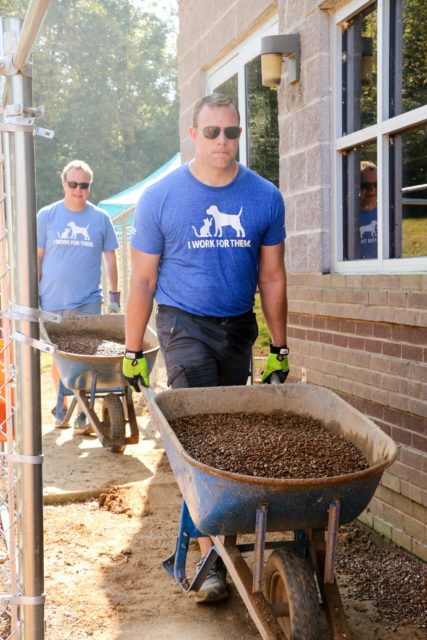 The primary goal of this build was to help increase the number of dogs that can get out of their kennels and feel the sunshine. 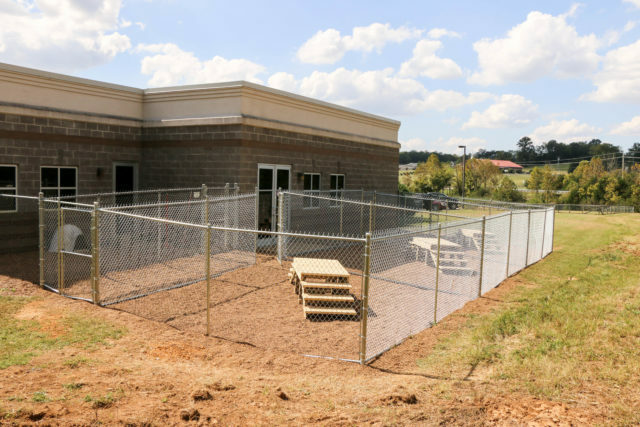 With only two fenced in yards quite a way from the building, both of which were not safe to leave a dog alone in, the staff at Maury County were unable to make use of them as often as they hoped. “With plenty of extra usable green space on the side of their building, Rescue Rebuild volunteers got to work on building three new chain-link play yards. Effortlessly accessible by just opening the door from the kennel room out into the yards, the staff are now able to clean kennels more easily by rotating three dogs outside at one time and letting them release pent-up energy. Rescue Rebuild also added a bit of fun and new enrichment to these yards by building the pups some agility steps to climb up and down. 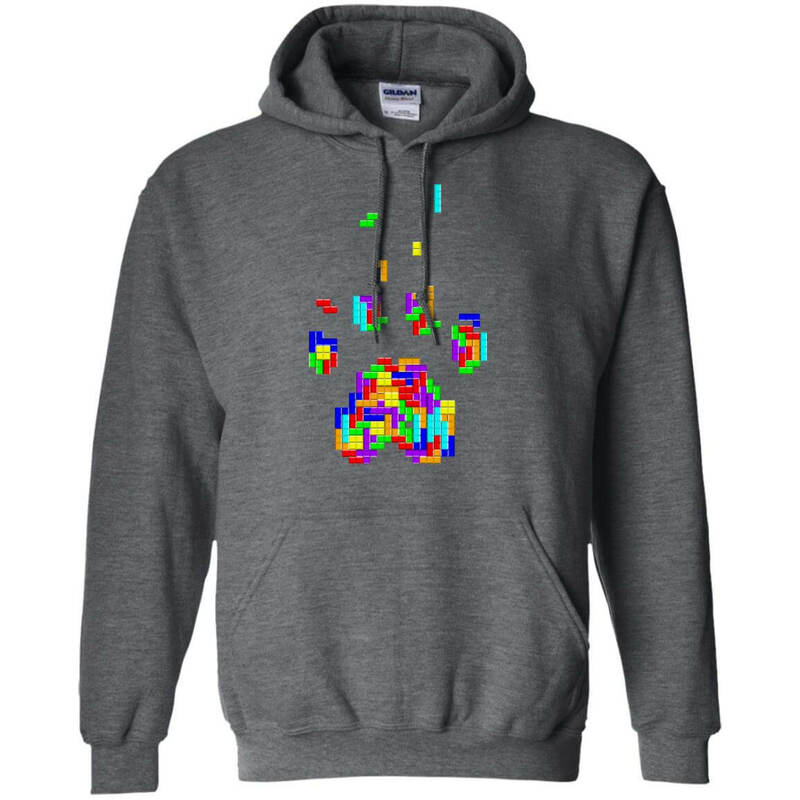 When you purchase items from the Rescue Rebuild collection in the iHeartDogs store, you help fund projects like this one! 20% of your purchase will help enrich the lives of dogs waiting in shelters for their forever homes!